This answer is valid for all Linux editions (32bit or 64bit). 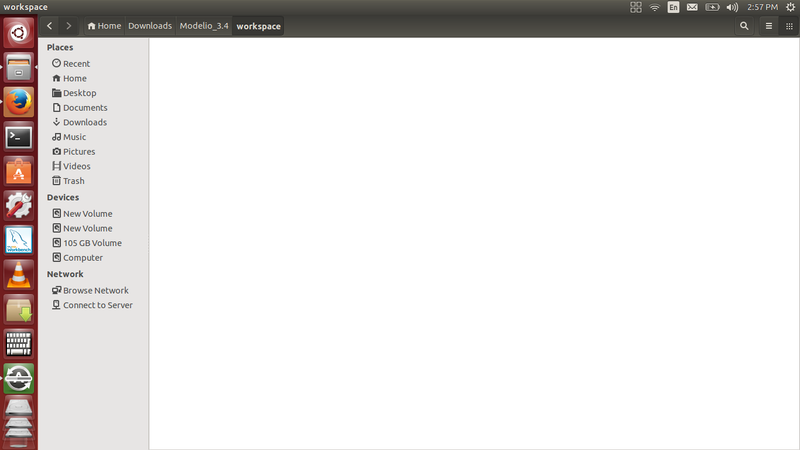 And the information which is available in the web site not sufficient to start the application on Linux systems . so please help me to start the executable file with some screenshots. Did you try to double click on it? 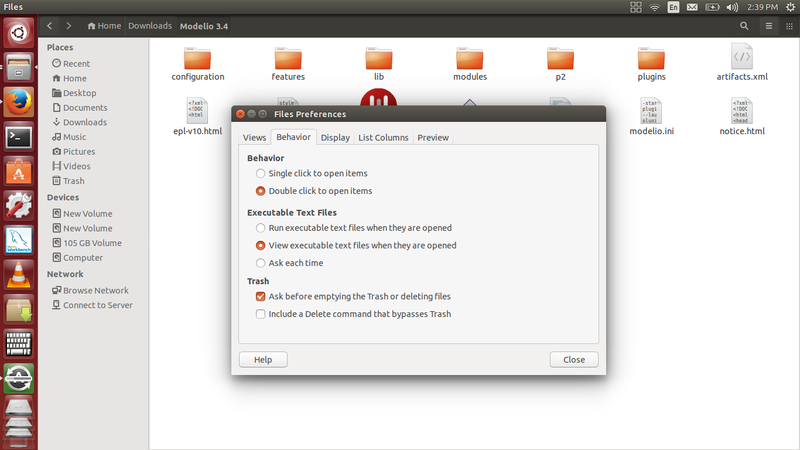 It is a default behavior on Ubuntu systems to double-click on a file to execute it. 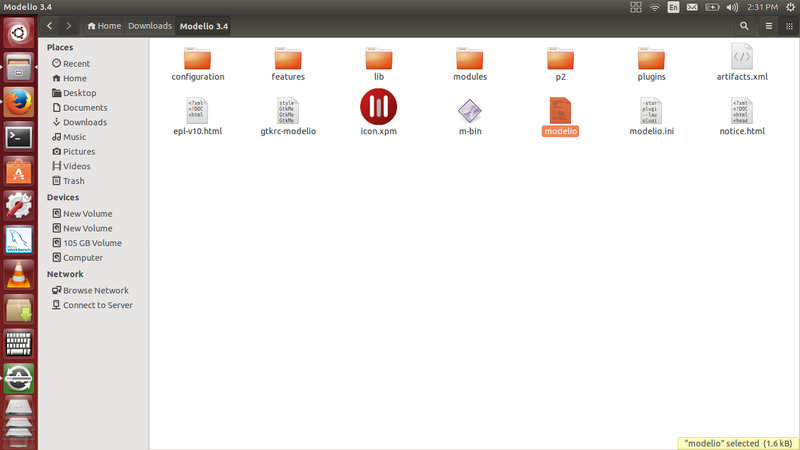 If something changed in your Ubuntu configuration I suggest you to consult this page to learn how to execute scripts on double click. Last Edit: 3 years 3 months ago by raghu.aj. 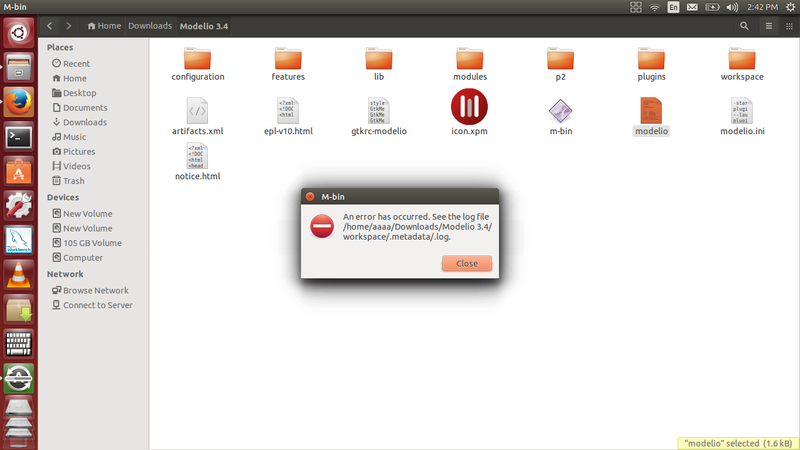 Can you send us the log file? 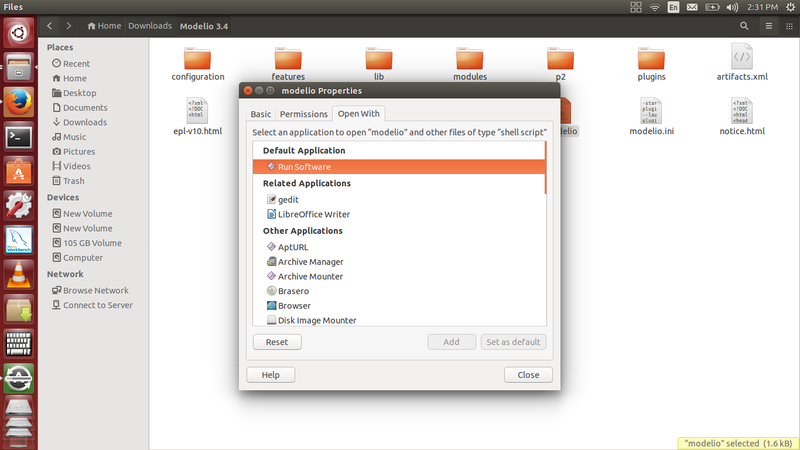 Can you display the permissions on the Modelio installation directory? 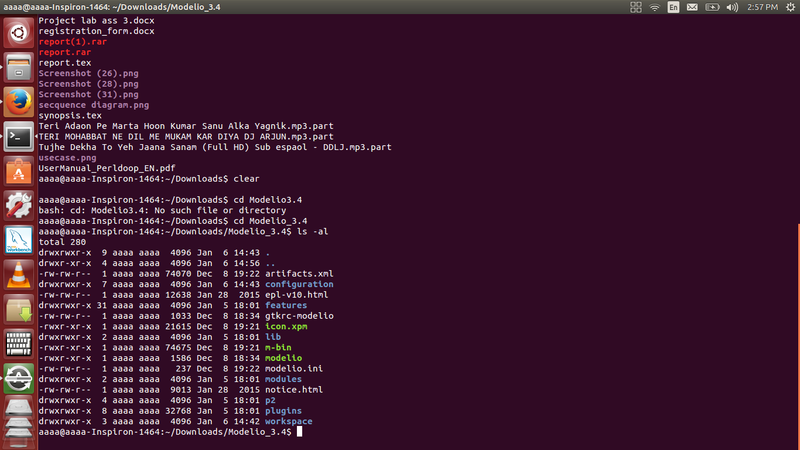 (In a shell command, go to the installation directory and type ls -al ) Maybe execution rights are missing.